Need Financed? We will help! We help hundreds of people just like you get the financing they need for the vehicle they deserve. Our process is simple, fast, and non-judgmental. We will help you by putting you on a payment plan that fits YOUR life. Start by filling out the app below, enter as much information as you can so we can get to work immediately to get you approved today. 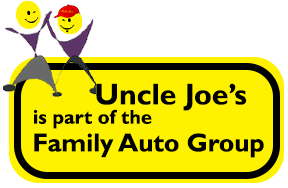 At Uncle Joes’ we deal with a wide variety of financial backgrounds and situations. Good people who have made mistakes or have no financial background are welcome at Uncle Joe’s. Please take the time to fill out our online credit application completely and accurately. In order for us to help find you financing, we need to find out where you are today. We would love to talk to you on the phone as well so give us a call at 864-574-6994!